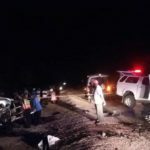 OSHIKUYU – At least two people died on the spot when a white Toyota double cab collided head-on with a white Nissan pick-up on the Oshakati-Omungwelume main road Friday evening. The accident occurred at the Oshikuyu village at around 20:30. When Informante arrived at the scene of the accident, the seriously injured driver of the Toyota and a female passenger were already rushed to the Oshakati Intermediate Hospital, but it took police officers and paramedics until 21:35 to remove a trapped and seriously injured male passenger from the Toyota’s wreckage. The bodies of the male driver of the Nissan and his male passenger were removed from the wreckage only at around 22:00. Police officers at the scene could not reveal the identities of the deceased and those injured, nor provide details on the cause of the accident. 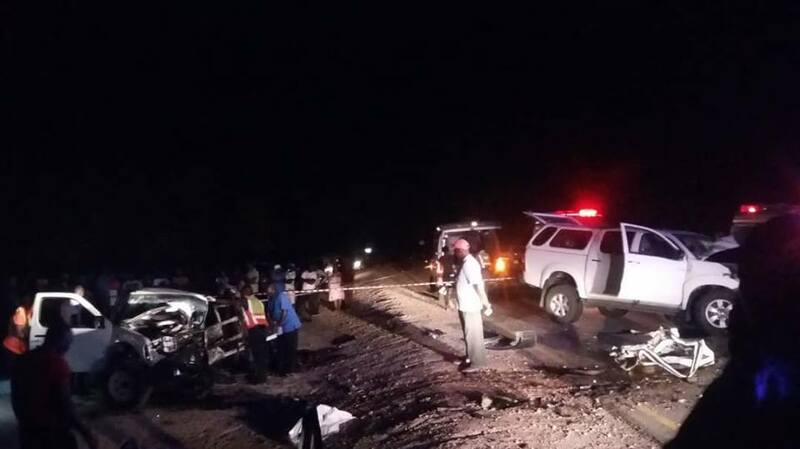 This was the second deadly crash on Namibian roads in one day. Early on Friday morning two people died instantly as a result of a head-on collision about 70 kilometres south of Otjiwarongo which caused the death toll for the day to rise to five.